Her first encounter with the Croatian language happened in 2015 when she produced the song Tvoje Plave Oči from the EP The Muse. It was actually a translation of the original German track „Deine Blauen Augen“ which was made by a Croatian fan and Serbian vocal coach Snezana Nena Brzakovic. The teacher also suggested studying Hatze’s repertoire after Anna Aliena had become interested in learning Croatian. After shrill Alien Pop, electronic synthie arrangements and theatrical singing which is pretty unusual on pop songs, Serenada seems like a style break in itself. It’s also very uncommon for a German singer to sing in Croatian. However, Anna Aliena has lived in the cultural melting-pot of Berlin where she is used to grab elements from other countries. Furthermore, she loves Croatia as a place to spend her holidays. 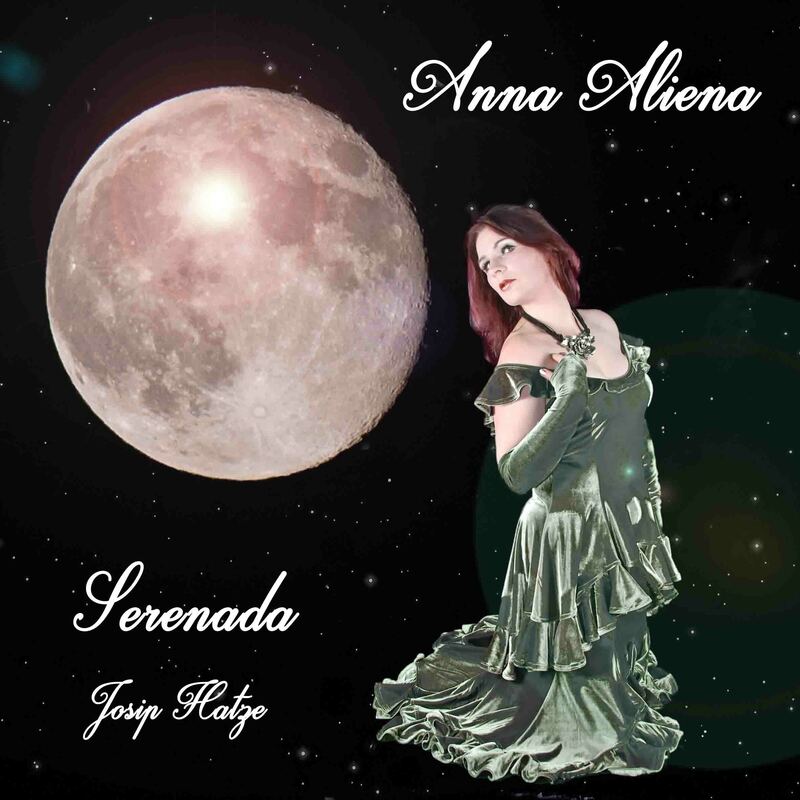 Anna Aliena’s vocals are carried by a rich string orchestra. Even if the listeners do not unterstand Croatian, they will recognize a mixture of longing and grief in her voice. On March 13th the first video from Serenada came out: “Suzi“ (To A Tear). On this video Anna Aliena completely staged herself in black and white. Her appearance is a bit reminiscent of the German pop countertenor Klaus Nomi with whom she has often been compared in the past. On the day of the EP release she also published a video of „Serenada“. 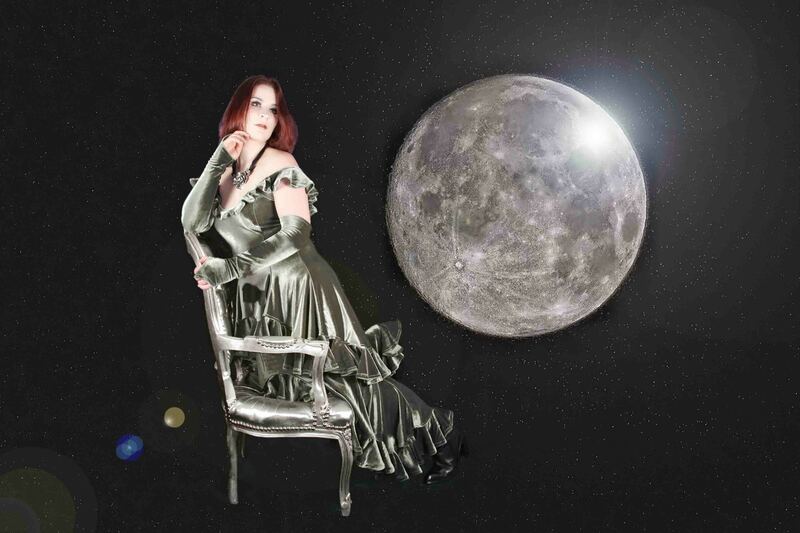 Unlike former video productions showing Anna Aliena in colourful lascivious costumes, the „Serenada“ videos casts a more elegant light on her. This time she wears a velvet dress made by the Berlin fashion designer Daniel Rabe. Finally she viewers catch a glimpse of her real hair while she is playing what she experienced in Croatia last summer: unfulfilled longing. Serenada is available on all the known download portals like Amazon and iTunes.